ATRI announced this year’s list in a press release March 25. The group’s Research Advisory Committee developed its list of recommended research areas earlier this month, and ATRI’s board of directors evaluated and approved the list last week. The 33-person Research Advisory Committee is made up of trucking association leaders, transportation company executives, academics and state government officials. 6. Tolls: Who pays and where does the money go? Developing standards for truck parking information systems based on driver preferences topped the list. Research Advisory Committee Chair Karen Rasmussen explained that the two-pronged goal is to create a compendium of what truck parking information systems are available and, through driver input, form a recommendation on what the ideal model looks like. Lack of available truck parking ranked No. 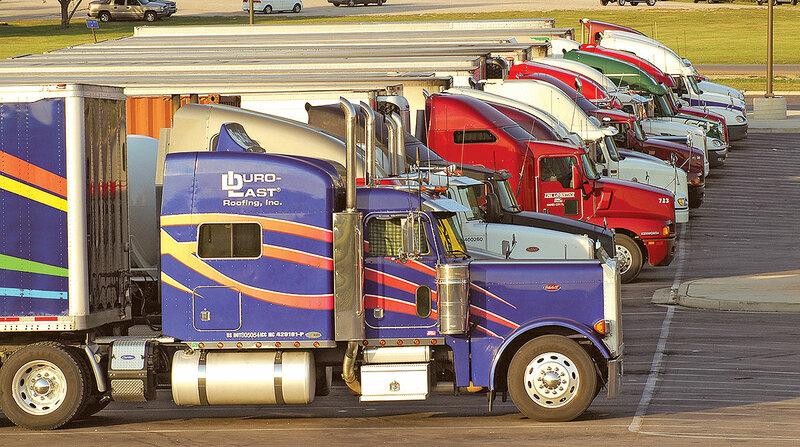 5 on ATRI’s list of industry concerns, which was released Oct. 29. ATRI will start gathering data for its research with a driver survey at the Mid-America Trucking Show, which will be held in Louisville, Ky., March 28-30. A subsequent iteration of the survey will be available online after the show for drivers who weren’t able to respond in person. Re-examining miles-based safety metrics is listed as the No. 2 priority. In the press release, ATRI notes that trip lengths and route locations have changed due to the rise of e-commerce and indicates that new metrics may be needed. The group also pledges to analyze the safety of younger drivers who participate in intrastate driving. ATRI will quantify the safety performance of 18- to 20-year-old intrastate drivers and experienced interstate drivers. Current federal law prohibits truck drivers younger than 21 from driving Class 8 trucks over state lines. American Trucking Associations favors legislation that would open interstate trucking opportunities for younger drivers. ATA also supports the Developing Responsible Individuals for a Vibrant Economy, or DRIVE-Safe Act, which proposes a two-step program for prospective young drivers to complete once they obtain a commercial driver license. Rasmussen said states vary in their methods of collecting and storing data on young driver safety, presenting an obstacle for researchers who seek to study trends across states. “When you start looking at individual state data, it’s all over the map,” Rasmussen said. The final priority is to update the group’s previous infrastructure analyses to focus on tolls. Specifically, ATRI will study where toll revenue in invested and the equity of tolling formulas for cars versus trucks.